Sri Sathya Sai Institute of Higher Learning (Deemed to be University) has a merit-based admissions policy open for all. SSSIHL has released the Ph.D Prospectus, The admissions procedures are designed to provide an equal and fair chance for all suitable candidates to secure admission. Selected students are from various parts of India and this diversity contributes to a rich and stimulating learning environment that brings the best out of students and prepares them for professional challenges after graduation. The medium of instruction at Sri Sathya Sai Institute of Higher Learning (Deemed to be University) for all courses in English. Latest: The Room Allocation Chart for Written Tests & Interviews has been released. Candidates can scroll down to check. SSSIHL Admissions 2019 entry will be held from 17 Apr to 30 Apr 2019 at Prasanthi Nilayam, (in Andhra Pradesh). You must arrive at least the day before your test. 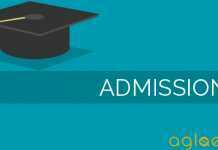 Candidate can check all details related to SSSIHL admission like application form, admit card, result etc. in this article. Revised Schedule for SSSIHL Admission 2019 is given below. The Admission test for 2019 Entry will be held from April 17 to May 30, 2019. Depending on the programme candidates have applied for, they must arrive at least one day before the scheduled date for Admission test. Click here to check the Room Allocation Chart for Men. Click here to check the Room Allocation Chart for Women. The Online application process has been started from December 03, 2018 for admissions for the Academic Year 2019-20. Candidates can apply online for SSSIHL Admission from the link which is provided below on or before 28 February 2019. Applicants requesting the form via email must send in an Indian Postal Order (IPO) or Demand Draft (DD) for 200/-. It will be the cash payment of 200/- to fill the form in person. All the Applicant must be under 30 Years of age on 31 May 2019. Selected candidate must reside in the hostel throughout their Ph.D. programme without exception. 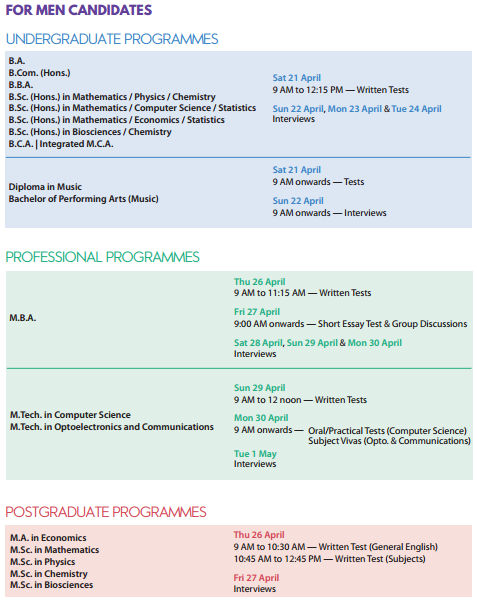 Applicants must hold a Master’s degree correlating to the Ph.D. programme they are applying for (final year students must have appeared for their final exams by the time of the admissions tests) with minimum 60% marks (aggregate) or aquivalent grade from SSSIHL or any other recognised university. Postgraduate – M.A. and M.Sc. Professional – MBA, M.Tech., and B.Ed. The online application is the easiest and most secure option to apply for admissions to SSSIHL. For students who choose this option, please visit the link for the online application portal. In this option, you will be guided step-by-step how to fill up the form. Note: It is mandatory that you have an email ID. If you do not have one yet, we suggest you create an online account with popular web-based email service providers such as Google, Yahoo, Hotmail, etc. They are all free of charge. 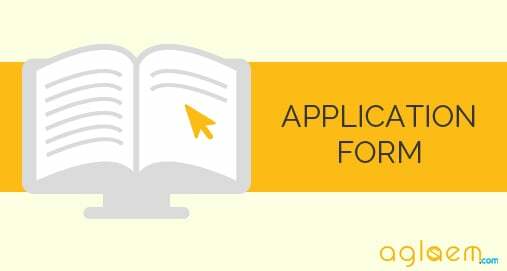 The online application portal will guide you step by step to fill up the application form online. Once you have completed the requirements, you will be able to view the filled-in application form in PDF format and save it on your computer. Indian Postal Order (IPO) or Demand Draft (DD) for Rs.100/-. The Bank draft should be drawn in favor of Sri Sathya Sai Institute of Higher Learning, payable at SBI, Prasanthi Nilayam/Puttaparthi. Indian Postal Order (IPO) or Demand Draft (DD) of Rs.200/- for Ph.D.-The Bank draft should be drawn in favor of Sri Sathya Sai Institute of Higher Learning, payable at SBI, Prasanthi Nilayam/Puttaparthi. The name and complete postal address along with programmes for which application form is required should be clearly stated in Block letters on the reverse of the IPO/DD and also in the requisition letter. An indication of which programme you would like to apply to – whether you want to apply for an Undergraduate, Postgraduate or Professional programme for admission. This is very important since there are three separate application forms for admission – one each for Undergraduate, Postgraduate and Professional Programmes. Incorrect forms will be rejected. Full return address. Please indicate your full return address, clearly mentioned in your written request, so that we can post you the form and related prospectus. Once you are satisfied that you have completed all the necessary requirements for the application form and the supporting materials, you will now be in a position to post the same to the Admissions office of the University. Staple the filled application form with all supporting materials. Then, seal them in an A4-sized envelope. This is important so you do not fold the form and certificates attached. If you have chosen to pay online, kindly print and attach a copy of the electronic receipt. Otherwise, kindly send an Indian Postal Order (IPO) or Demand Draft (DD) for Rs.100/- per application. The Bank draft should be drawn in favor of Sri Sathya Sai Institute of Higher Learning, payable at SBI, Prasanthi Nilayam/Puttaparthi. Write the Applicant ID (online applications) or Application Number (paper applications) and the course for which you have applied on the envelope that you are posting. Post the completed application so that it reaches the University BEFORE the application deadline: 28 February 2019. On average, allow one week for applications posted within South India and two weeks for the rest of India. Late Applications reaching after this date will not be considered for admissions. It is compulsory that all applications are posted either by Registered Post or via a courier service. Should you opt for a courier service, it is advisable that you check with them if they have an office or delivery service in Puttaparthi, Andhra Pradesh. An example of this is Professional Couriers, which has an office at Puttaparthi. 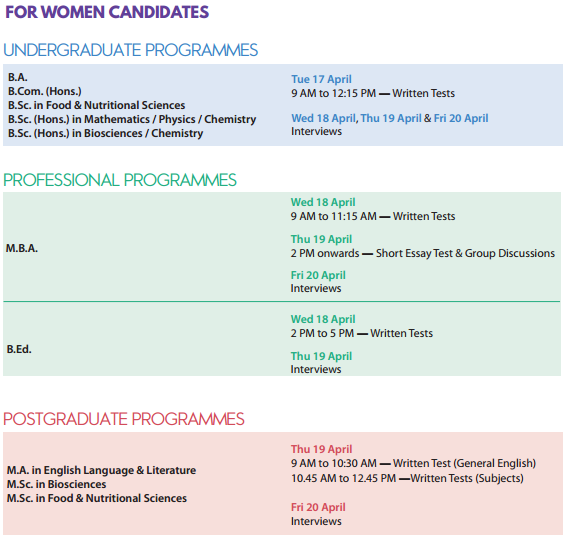 There are separate programmes available for WOMEN and MEN applicants, as the university hosts separate campuses for women and men students. The university also offers Ph.D. programmes. Kindly visit www.sssihl.edu.in for further information on how to apply for Ph.D. programmes. Given below are the Programmes Open for Admission in 2019. Candidates can check the Syllabus for SSSIHL 2019. After all the admissions tests and interviews are completed in April, final decisions about admissions will be made and posted on the university website (sssihl.edu.in) on the day following the completion of tests and interviews for that particular programme. By 02 May 2019, all results will be posted on the website. Additionally, the provisional list of selected candidates will also be put up at the Ashram (opposite the Accommodation office). In addition, a selection letter will be sent to all selected candidates. Along with the letter, related information will also be included.